The stock market today felt shock waves following late night order of the market regulator Securities and Exchange Board of India barring several individuals and companies from trading for alleged violation of rules regarding initial public offerings. Following is the list of major IPOs scanned for scam by market regulator Sebi, which led to the ban on 24 operators from participating in the capital market. midst controversy over allotment of land to the Trident Group of Industries, the textile major has threatened to withdraw its expansion and diversification plan in Punjab. The company has made up its mind to move its proposed sugar factory, paper mill and distillery, involving an investment of Rs 2,000 crore, outside Punjab. Buoyed by robust fourth quarter results, Bharti Airtel today announced its plans to foray into the Third Generation (3G) services, which would provide next generation mobile services in the country. A model shows the Pakistani traditional dress at a fashion show in Karachi on Friday. Tata Steel Ltd has acquired 67.11 per cent equity stake in the Millennium Steel Public Company Ltd, Thailand, pursuant to a definitive agreement. The Wadia group, promoters of low-cost airline GoAir, today announced plans to set up four new business ventures associated with aviation — engineering, cargo, training and ground handling. From corporal to corporate assignments! non-executive directors on board corporate organizations have completed their course and ready for action. According to Brigadier Sahi, Director General of Resettlement, Ministry of Defence, 32 senior officers have completed the Course on Corporate Governance organised by the Bombay Chartered Accountants Society and SPJ Institute of Management Research. The State Level Bankers Committee of Punjab has recommended that the ceiling for granting loan under Prime Minister Rozgar Yojana be raised from Rs 40,000 to Rs 1 lakh. Hindustan Lever Ltd, country’s consumer goods maker, today posted a net profit of Rs 442.86 crore for the quarter ended March 31, 2006, as compared to Rs 250.25 crore for the corresponding quarter of the previous fiscal, showing a jump of 77 per cent. The stock market today felt shock waves following late night order of the market regulator Securities and Exchange Board of India (Sebi) barring several individuals and companies from trading for alleged violation of rules regarding initial public offerings. Later in the day, Sebi announced to keep its order on Indiabulls in abeyance till completion of the probe, and Karvy Group also denied the charges and said it would file its objections. Notably, Sebi’s various orders banning brokers from trading have been set aside in recent past by the Securities Appellate Tribunal (SAT) on appeal by the affected parties. The operators can still invest money for other investors. However, following oral and written submissions made by Indiabulls Securities Ltd Chairman Sameer Gehlaut, Sebi announced to keep its order on Indiabulls in abeyance till completion of the investigation. Sebi clarified that on the basis of oral and written submissions made by Mr Sameer Gehlaut and “having regard to the balance of convenience in the materiality of circumstances of the case, the ex-parte ad interim order dated April 27, 2006, with regards to the Initial Public Offerings relating to Indiabulls Securities Ltd would be kept in abeyance, subject to verification of clients and until further directions.” Indiabulls has around 2,50,000 retail clients. Meanwhile, contesting the Sebi order Karvy Group Vice-President, Corporate Affairs J. Ramaswamy “termed the ban on its participation in stock market as “very harsh” and said company would file its objections. Quoting the Sebi order, in which Karvy Stock Broking (KSB) figured as one among the 85 financiers involved in IPO scams, he said: “KSB has not financed any IPO customer till date. The Sebi order refers to KSB as financier to D B Mehta in the NTPC issue. Neither KSB, nor any of its associate companies financed the said investor for the said issue.” The investor has a secondary market trading account with KSB Mumbai branch and he had transferred shares into our pool account on the day the securities were listed and sold the shares in the market. Sebi appears to have mistaken the transfer of securities in our pool account by a customer, who was subsequently paid the proceeds, as a wrongful act of Karvy, the group said in a statement here. Admitting panic reaction in the market, the market experts said the regulator’s move is “a long-term positive and should help clean up the market.” Further orders are likely to challenged in the SAT, they added. While Sebi has barred the individuals and operators from trading their proprietary accounts, or accounts the brokerages themselves own, retail investors with brokerages will not be affected. Sebi has also issued notices to several large banks such as HDFC Bank Ltd., IDBI Bank Ltd. and ING Vysya Bank Ltd. for failing to comply with “know your customer norms” or not checking duplicate names and addresses. The investigation has uncovered a gap in the system due to which a huge amount of shares were grabbed by individuals and firms leaving regular investors by the wayside. Securities and Exchange Board of India Chairman M. Damodaran today said investigation on the IPO scam was still continuing and more action was likely if new facts emerge. Regarding Sebi’s decision to keep in abeyance its order to ban stock broking company Indiabulls, Mr Damodaran said it was the first to approach the market regulator and the decision is pending verification. The Security Exchange Board of India’s (Sebi) interim report on the IPO scam virtually indicts the entire stock market fraternity. In its 252-page interim report, which was released late Thursday, the market watchdog comes down heavily on brokerages, financiers and depository participants. Calling the scam a “well-knit game by rank opportunists”, the Sebi report unveils the failure of prescribed checks and balances in the scam. According to the report, the scamsters opened thousands of bank accounts under fictitious names using false identity proofs, but with the same address. The prime accused in the Yes Bank case, Roopalben Panchal and her associates even collected photographs of unsuspecting people across Gujarat to obtain fake identity documents for the purpose. The banks accounts were subsequently used to open demat accounts through which the scamsters applied for shares in IPOs reserved under the retail category. The small lot shares allotted subsequently were transferred into the accounts of large financiers who funded the applications in the first place. Since these transactions were done even before the shares were listed in the markets, the financiers went onto make a killing on listing. The modus operandi was: letters from banks were received by depository participants towards proof of identity (PoA) and proof of address (PoA) for opening demat accounts, which was not verified by DPs, though Sebi mandates it for safety and integrity of the system. Investigators are still collating the number of demat accounts held in her name since not all applications resulted in successful allotments. Reports quoting finance ministry sources indicate that a penal ruling against Roopalben would be passed within two weeks. These reports indicate that she may be slapped with a heavy financial penalty. Karvy has been asked to shut shop. The company has, meanwhile, denied any wrong doing and has sought an appointment with the market regulator. In all 24 entities including IDBI Bank, HDFC Bank, IndiaBulls have been indicted in the Sebi report. The market watchdog has allowed all the persons and entities mentioned in the report 15 days to file their objections. Its final order would then be issued. Suzlon Energy Ltd’s Rs 1,496.34 crore public issue (September 23-29, 2005). The retail portion was oversubscribed 6.04 times and the non-institutional portion was oversubscribed 40.27 times. Key operators used 21,692 fictitious accounts to corner 3,23,023 shares representing 3.74 per cent of the total number of shares allotted to retail individual investors. Jet Airways’ Rs 1899.3 crore public offer (Feb 18-24, 2005). The retail portion was subscribed 2.99 times and the non-institutional portion by 12.5 times. Key operators used 1,186 fake accounts for cornering 20,901 shares representing 0.52 per cent of the total number of shares allotted to retail investors. National Thermal Power Corporation Ltd’s Rs 5,368.14 crore IPO (Oct 7-14, 2004). The retail portion was oversubscribed 3.73 times and the non-institutional portion by 11.93 times. Key operators used a total of 12,853 afferent accounts for cornering 27,50,730 shares representing 1.3 per cent of the total number of shares allotted to retail investors. Tata Consultancy Services Rs 4,713.47 crore public offer (August 19-23, 2004). The retail portion was oversubscribed 2.86 times and the non-institutional portion by 19.15 times. Key operators used 14,619 ‘benami’ accounts to corner 2,61,294 shares representing 2.09 per cent of the total shares allotted to retail individual investors. Patni Computer System Ltd’s Rs 430.65 crore public issue (Jan 27-Feb 5 2004). The retail portion was oversubscribed 9.36 times and the non-institutional portion by 39.22 times. A lone key operator used 2,541 different account for cornering 1,27,050 shares representing 2.71 per cent of the total number of shares allotted to retail investors. Amidst controversy over allotment of land to the Trident Group of Industries, the textile major has threatened to withdraw its expansion and diversification plan in Punjab. The company has made up its mind to move its proposed sugar factory, paper mill and distillery, involving an investment of Rs 2,000 crore, outside Punjab. Top officials of the company informed TNS that from the beginning, company’s Board of Directors were against the expansion plans being implemented in a single state. “The Directors were in favour of expansion outside Punjab. The protests by supporters of various political parties, have proved to be early warning signals. Our stakeholders, mainly the financiers backing the project, have recommended withdrawal of the expansion plan in Punjab, and we are considering it’s implementation in some other state,” said a top functionary of the company. He minced no words in accusing three political parties for raking up the issue. “The farmers are being mobilised against us, even though many of them have already accepted compensation for land. Being an election year, these political parties are trying to garner votes. After the BKU Ekta (Ugrahan) raked up the issue, the BJP and Shiromani Akali Dal (Badal), too, have joined hands against us”, he alleged. It may be noted that 100 odd families of farmers from the three villages of Sanghera, Dhaula and Chana in Barnala, have taken to the streets, against the acquisition of their land. As the spectrum policy has already been cleared by the Group of Ministers (GoM) and the telecom operator is planning to launch the services by June this year. 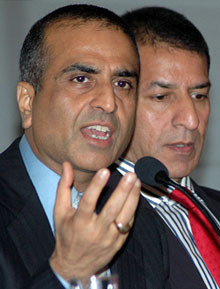 “We are in discussion with the Centre to launch the 3G services,” Bharti Airtel CMD Sunil Mittal told reporters here on the sidelines of a press conference convened to announce quarterly results. The company’s consolidated revenue for the quarter ending March was Rs 3,411 crore which grew by 47 per cent and EBITDA of Rs 1,278 crore grew by 41 per cent. The cash profit from operations of Rs 1,205 crore grew by 46 per cent over the corresponding period last year. The net profit during the quarter was Rs 682 crore, an increase from Rs 459 crore during the corresponding quarter of last year, a growth of 49 per cent. The revenue and net profit for the full year ended on March was Rs 11,663 crore and Rs 2,258 crore, a growth of 46 per cent and 51 per cent over the corresponding period last year, respectively. The investment has been completed through a combination of preferential allotment of 24.99 per cent equity shares to the company and 42.12 per cent of equity shares through open tender offer. The investment was made by the company and wholly owned subsidiary, NatSteel Asia Pte Ltd, Singapore. 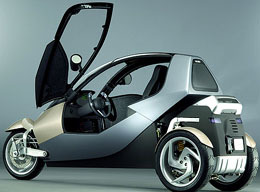 Tata Motors have already invested in South Korea and Spain. On conclusion of the above transaction, the Board of Millennium Steel has been reconstituted with the majority of directors being the nominees of the Tata Steel. Its Board comprises 11 directors, of which six are the nominees of the company. Mr. B. Muthuraman, Managing Director of the company has been appointed the Chairman of Millennium Steel. For one, it is close to signing a joint venture with Singapore Airlines Engineering Company for setting up independent aircraft maintenance, repair and overhaul (MRO) facility in India. The Wadia family is also planning to establish three other aviation related ventures focusing on cargo services, ground handling and personnel training. The first batch of senior armed forces personnel trained to take over as non-executive directors on board corporate organizations have completed their course and ready for action. According to Brigadier Sahi, Director General of Resettlement, Ministry of Defence, 32 senior officers have completed the Course on Corporate Governance organised by the Bombay Chartered Accountants Society and SPJ Institute of Management Research (SPJIMR). These officers in the category of Generals/Brigadiers and their equivalents have been drawn from the three forces. Of those who completed the Corporate Governance Course, 26 are from the Army, four from the Navy and two from the Air Force. Sources say, all candidates have jobs from the corporate sector lined up for them. As per the revised guidelines of the Sebi, nearly 4,000 independent directors would have to be appointed on board companies in the coming months. The defence forces are utilising the shortfall in Independent Directors to accommodate senior personnel in a big way. “We hope this will be an ongoing venture,” Brigadier Sahi said. The two institutes have reportedly charged a fee of Rs 21,000 per student. This recommendation was made during the meeting of the State Level Review Committee of SLBC (Punjab) here today. Mr. I.D. Singh, General Manager, Punjab National Bank, Punjab (South) Zone presided over the meeting. Mr. Sanjay Kumar, IAS, Director, Department of Industries and Commerce was the chief guest. It was also recommended that the ratio of loan granted to Self Help Groups (SHG) against own contribution be increased from four times of the groups contribution, to 10 times of the contribution. These recommendations will now be forwarded to the Reserve Bank of India for its approval. Hindustan Lever Ltd (HLL), country’s consumer goods maker, today posted a net profit of Rs 442.86 crore for the quarter ended March 31, 2006, as compared to Rs 250.25 crore for the corresponding quarter of the previous fiscal, showing a jump of 77 per cent. Announcing the results, the company said its total income is Rs 2,867.41 crore for the first quarter 2006 as against Rs 2,581.02 crore in 2005. The profit also included a one-time gain of Rs 2 billion from the sale of its Nihar hair oil to Marico. Profit after tax (PAT) grew lower at 13.5 per cent as a one-off tax credit of Rs 37 crore in March Quarter’05, significantly reduced the tax charge in the base. However, the results for the quarter are not comparable to those of March quarter 2005 to the extent of integration of subsidiaries — International Fisheries Ltd, Lipton India Exports Ltd, Merryweather Food Products Ltd, TOC Disinfectants Ltd, and Lever India Exports Ltd — with the company, the demerger and subsequent disposal of Doom Dooma and TEI plantation divisions, and the amalgamation of Vashisti Detergents Ltd with the company. The Bank of India (BoI) has posted a net profit of Rs 254.42-crore for the quarter ended March 31, 2006, as compared to Rs 52.79-crore for the same corresponding period in FY 05, the bank said today. The bank’s total income also increased from Rs 1,978.65-crore in Q4 FY 05 to Rs 2,326.58-crore in Q4 FY 06. In FY 06, BoI has posted a net profit of Rs 701.44-crore as compared to Rs 340.05-crore in FY 05 while its total income jumped from Rs 7,187.32-crore in FY 05 to Rs 8,213.08-crore in FY 06. The bank said its Board of Directors has declared a dividend of 30 per cent. Chennai-based IT services provider Polaris Software Lab Ltd today reported a 35 per cent dip in net profit at Rs 4.7 crore for the quarter ended March 31 against Rs 7.3 crore last year. Total income for the quarter under review also dropped by 6.6 per cent at Rs 166.6 crore as against Rs 177.3 crore in the same period previous year. For the fiscal year 2005-06, the company registered a 75 per cent decrease in net profit at Rs 13.2 crore from Rs 53.4 crore in the same period previous fiscal.